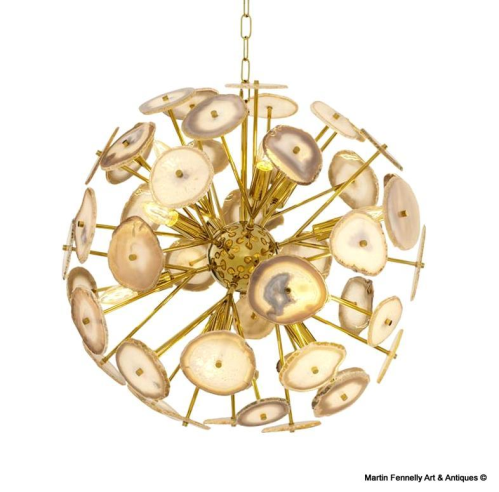 This Sputniq designed Chandelier perfectly showcases how brilliant design can combine the slick rods of Gold with the hand cut discs of Agate Stone. The Discs of hand cut Agate stone envelope the rods of Gold and resultings myriad of light beams makes for a unique piece. 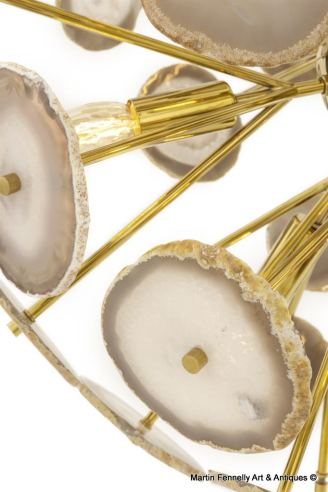 This is a beautiful Chandelier and would add that classic vintage style to any location. The Chandelier is elctrified and comes complete with matching chain and ceiling cup.